Why not contribute to a food and wine adventure in Italy. 70% of our guests come along by themselves and we offer a warm welcoming, safe place . All rooms en-suite and no single supplements . 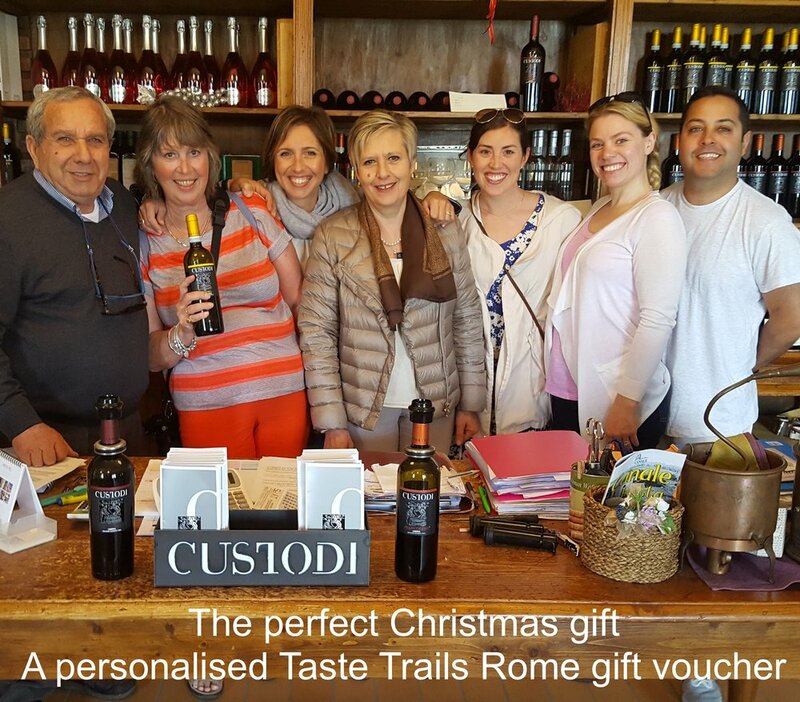 You can purchase a gift voucher in any combination of €50 or €100, in any amount up to the full amount of a Taste Trails Rome cooking holiday Italy, long weekend, or week long cookery holiday. The voucher certificate is valid for a period of ONE YEAR from date of purchase . We can post the certificate to the person of your choice or we can send you a printable PDF of the certificate via email. You can purchase by clicking on your choice and this takes you directly to secure checkout.